Order of Operations was created as a rapid prototype analog game. It was developed to help students grasp the very basics of human neuroanatomy; namely the primary purposes of the occipital, parietal, and temporal lobes. Order of Operation is a game for 2-6 players. 4+ players play as two separate teams. The objective is to co rrectly place as many organs in the body cavity as possible in the span of 2 minutes. Players must work as a team to place organs in the body. 2-3 players may be on a team. Roles are assigned randomly by drawing a brain card. Gameplay: Separate the brain cards from the organ cards. 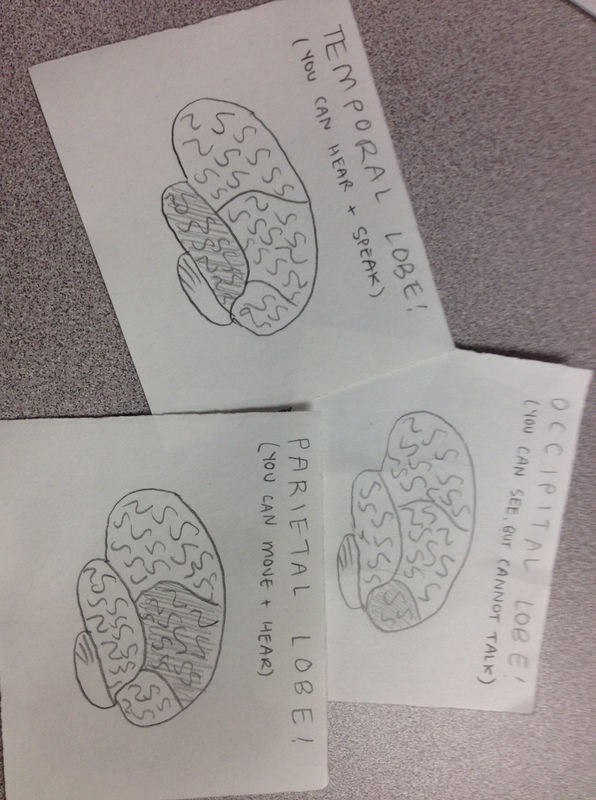 Draw to see who will represent which lobes of the brain. The board is hung from a wall at eye-level within reach of a flat surface. The Parietal lobe player is blind-folded and the organs are spread on the nearby flat surface. The order of operation is determined by the Occipital lobe player drawing organ cards from the organ deck. The team must then use their different roles to communicate and perform the procedure. Organs that are correctly and completely placed within the border on the game board are worth 10 points. 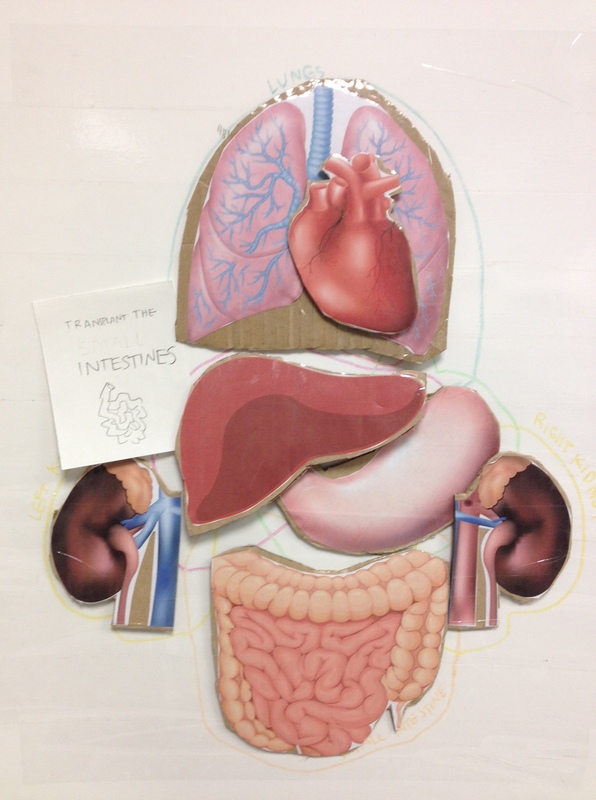 Organs that are placed partially in the correct spaces are worth 5 points. A team wins the game by accruing more points than the other team in the two minutes allocated. If only one team is playing, they win by accruing 30 or more points in the two minutes allocated.